Daniel Ellis, an engineer at Reddit, shares a lot of details about how Reddit’s caching infrastructure works. It’s great to see real world details of this nature. Yahoo has open sourced Screwdriver.cd, a streamlined build system designed for continuous delivery in production at scale for dynamic infrastructure. A white paper that covers how Google designs security into the heart of their technical infrastructure. 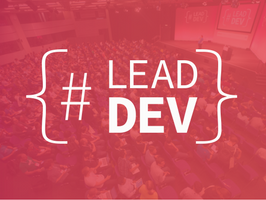 The Lead Developer 1-day conference for Tech Leads. 21 Feb, New York. As Tech Lead, how do you find the time to manage a team, keep up with new tech and develop yourself? Attend The Lead Developer New York 2017, featuring practical advice from experts on leadership, team culture and the latest technologies. In a 40 minute talk originally given internally at Microsoft, Web performance engineer Nolan Lawson looks at performance best practices and the latest advances in tooling. When you’re performance testing your code it’s easy to let the data give you a false sense of security. In a tale resembling Mail.ru’s 50PB to 32PB drop, the photo storage site Flickr managed to go a whole year without adding any extra storage. A look at how Filament Group is utilizing HTTP/2 for speed and Service Workers for offline connections. A company moved from Heroku to AWS by putting their apps into containers and then moving them over to ECS. Ansible is a great tool for configuring a host server to support and orchestrate Docker deployments. ‘Circuit breaking’ is the idea of shutting off traffic to an instance if requests to it fail too frequently. Fission is a new framework for serverless functions on Kubernetes. The Internet’s formative standards documents are to be formally archived. Imperva CISO Shahar Ben-Hador looks at DDoS attacks and what companies can do to defend against these attacks in a live webinar. Avoid hard coding keys and ‘secrets’ into your apps. Access this recording on guidelines, insights & principles for a performance-driven engineering mindset. Over 200 resources linked here.